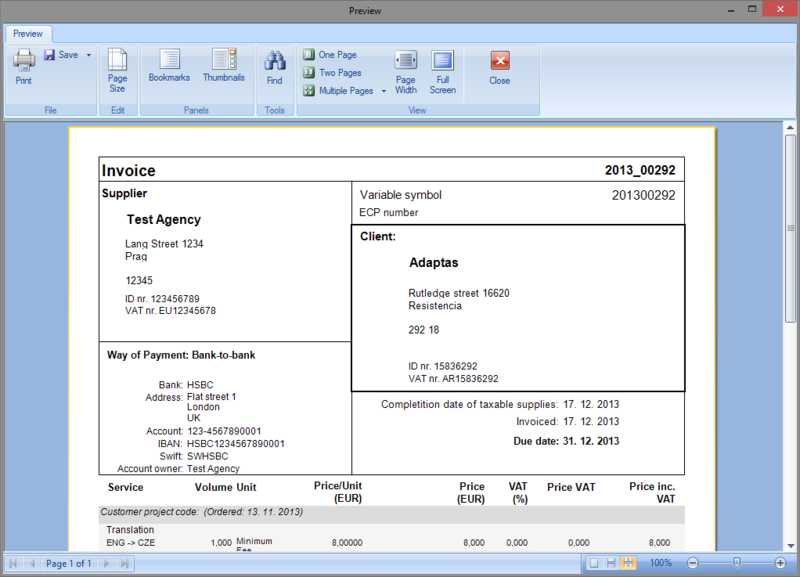 The system allows you to generate documents, such as quotes, orders, invoices, etc. 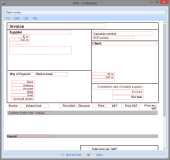 as PDF, MS Word, MS Excel and HTML documents. 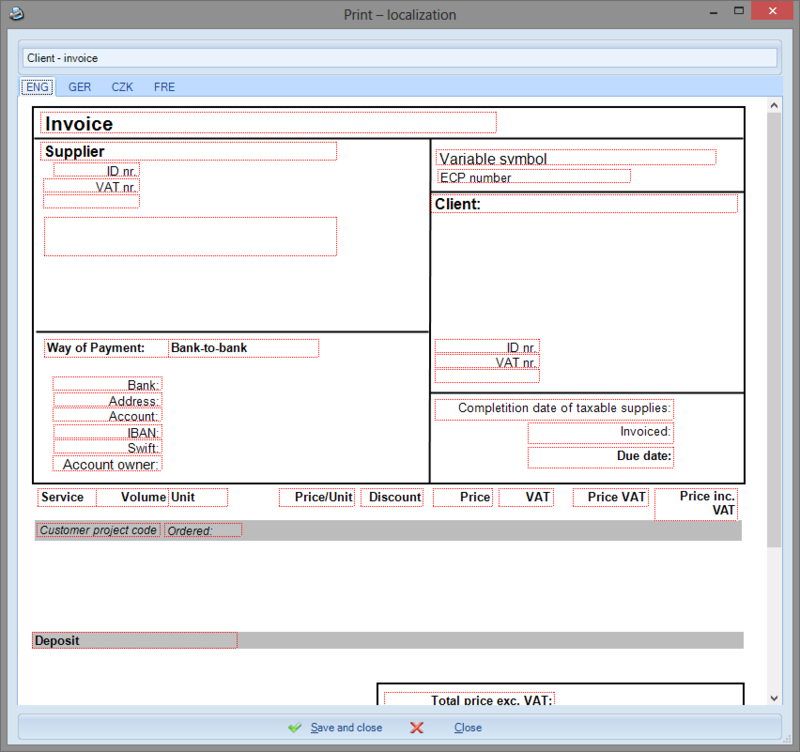 The basic system setting contains print templates for all of these documents. They are localized into four languages; the same languages as those in the code lists. 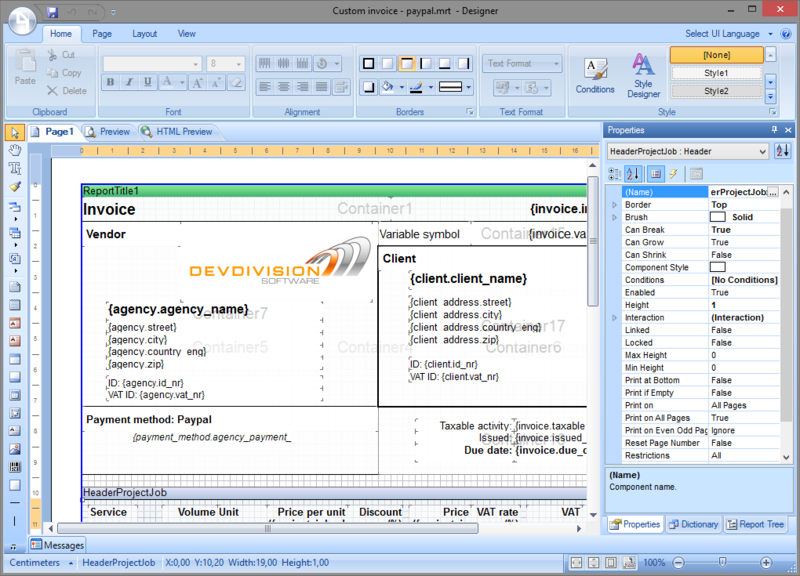 This allows you to create fully localized documents where service and unit names can be in any language. Besides default print templates, it is possible to create an unlimited number of customized print templates. The system includes a designer that allows you to change and modify the templates. Therefore, it is easy to have a template for a foreign client and a different one for a domestic client. You can have different templates for various projects, etc.